Watch the archive of the Keynote Address on YouTube. Mark your calendars for this year’s Keynote Address at the Conference which will be held February 28, Tuesday evening, at 5:30 pm. We are honored to announce that Dr. Kellie Lim has accepted our invitation to be this year’s Keynote Speaker. 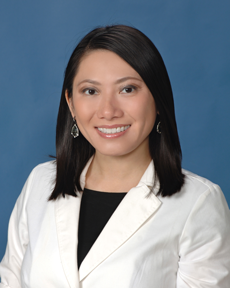 Dr. Kellie Lim is a physician at UCLA Health, specializing in Allergy & Immunology. Born and raised in Michigan to a Chinese immigrant family, Dr. Lim has first-hand experience in the difficulty of accessing medical care, especially those with severe physical disabilities and limited resources. At 8 years of age, Dr. Lim contracted bacterial meningitis that led to life-threatening sepsis. Though she ultimately prevailed, the infection caused wide-spread damage, and Dr. Lim underwent amputations of her legs, right arm, and several fingers of the left hand. She was hospitalized for several months in order to fully recover and endured years of physical and occupational therapy. Dr. Lim had to re-learn basic daily activities, such as eating with utensils, writing, and walking. After this intense experience, Dr. Lim decided to pursue a career in medicine. Her family provided much-needed support since medical schools were unsure of her ability to succeed. She had to convince them that she was capable of mastering the rigors of a medical education. She was accepted to several medical schools, but ultimately chose UCLA. She subsequently completed all of her medical training at UCLA, including the residency program in Pediatrics and fellowship program in Allergy & Immunology. Dr. Lim also completed a fellowship in Clinical Pharmacology and a Master’s Degree in Clinical Research. Dr. Lim has faced many challenges and obstacles due to her physical disability. However, she never allowed this to interfere with her career ambitions. She hopes to inspire others to achieve their goals, no matter what the circumstances may be. Please join us in the Seaport Ballroom on Tuesday, February 28 at 5:30 pm as we commence the 32nd CSUN Assistive Technology Conference. Each year the Center on Disabilities recognizes a leader in our field who has made a major impact in education and research. We are honored to announce that this year’s Strache Leadership Award Recipient is Clayton Lewis. Lewis is Professor of Computer Science and Fellow of the Institute of Cognitive Science, at the University of Colorado, Boulder, where he has been based since 1984. He is well known for his research on evaluation methods in user interface design. Two methods to which he and his colleagues have contributed, the thinking aloud method and the cognitive walkthrough, are in regular use in software development organizations around the world. He has also contributed to cognitive assistive technology, to programming language design, to educational technology, and to cognitive theory in causal attribution and learning. He was named University of Colorado President’s Teaching Scholar in 1989, a life title signifying the University’s highest award for teaching. Lewis earned an AB in mathematics from Princeton University, an MS from MIT, for interdisciplinary study in mathematics and linguistics, and a PhD from the University of Michigan in experimental psychology. 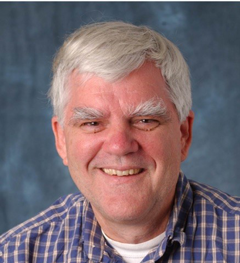 He was elected to the ACM CHI Academy in 2009, recognizing his contributions to the field of human-computer interaction. In 2011 he was further recognized by the ACM CHI Social Impact Award, for his work on technology for people with cognitive, language, and learning disabilities. The Strache Leadership Award will be presented at the Keynote Address on Tuesday evening. Please note that Conference Registration closes one hour before Keynote Address. Please arrive at the registration early if you want to register and attend Keynote Address. Full-Day and Half-Day Pre-Conference Workshops will be offered on Monday, February 27, 2017 and Tuesday, February 28, 2017. These workshops are designed to give in-depth training on specific topics. Join us on Wednesday, March 1 when we open the door to the Exhibit Hall! With so many innovative products and services on display, you’ll want to get an immediate start, right at the opening at 12:00 pm on Wednesday. We invite you to review the list of exhibitors on the conference website to plan ahead and organize your time. Also, be sure to note the Exhibit Hall hours for this year. The Exhibit Hall is located in the Grand Hall on the lobby level of the hotel. The Exhibit Hall Opening Reception will be held at 12:30 pm on Wednesday, March 1, following the opening at 12:00 pm. In our effort to provide reasonable accommodation services (interpreters) at the conference, we are limiting requests to 20 minutes time periods when visiting the Exhibit Halls. As always, these services are based on the availability of our service providers. You are, of course, welcome to return and request services again throughout the day and/or on additional days you may be coming to the Exhibit Hall. With regards to sighted-guides, there are set tour times each day the Exhibit Hall is open. These quick 20-minute tours will take place every 2 hours. Due to the availability of our service partners, there will not be any individual services provided for attendees that need sighted guides. Tour will gather 5 minutes prior to the start time to the right of the Exhibit Hall registration area located in the Grand Foyer. We appreciate your cooperation with these procedures and thank you for your support in our efforts to provide services for the convenience of our conference attendees and visitors to the Exhibit Hall. To view the 2017 Directory of Exhibitors by Company Name, please visit the Exhibitor Directory page. The CSUN Cyber Café is located on the 2nd floor adjacent to Registration. It’s the perfect place to check your e-mail, follow us on Facebook & Twitter, review the website for session changes or just surf to see what else is happening at the Conference! The Social Hub is located on the 2nd floor across from Registration in Seaport Ballroom DE. It’s the perfect place to meet with colleagues, get some work done, or peruse your conference materials. The Social Hub will also be the location of 2nd floor Refreshment Breaks. Provided by the Comcast Corporation.